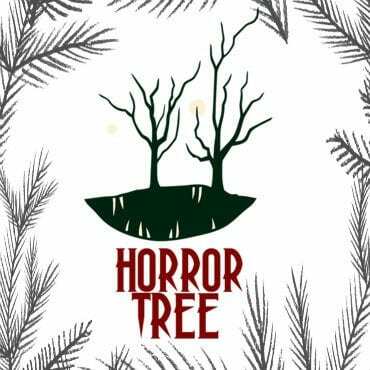 The Horror Tree is a resource for genre and speculative fiction authors which was created in 2011. The main goal when starting the site was to include all of the latest horror anthologies and publishers that are taking paying submissions. A resource useful for both new and experienced publishers alike looking for an outlet for their written material! Each anthology that we list should have a set deadline as well as offer compensation in the form of direct payment, royalties, or at the very least a physical contributor’s copy. Since that time we have expanded to include articles on every aspect of the writing process, fiction, guest posts, blog tours, and more! Note: We do not make any money from you submitting to these anthologies, we are not releasing them, nor are we responsible for them in any way. Our goal is just to try and help out our fellow horror authors to have an easy way to find out what anthologies are open to submit to and have a community to work with. If you are a horror author, I hope this is helpful for you! Stuart Conover is a father, husband, published author, blogger, geek, entrepreneur, horror fanatic, and runs a few websites including Horror Tree! On the side he somehow finds time to write articles on ScienceFiction.com and is the Editor in Chief of the Journal Stone Network of sites. Stephanie Ellis is a UK-based writer of dark fiction. Her poems, short stories and novella have appeared in a variety of magazines and anthologies. She has written a novel which she is hoping to get published and is currently at work on a second. Steph is an active member of the FlashDogs flash fiction online writing community and is also co-editor at The Infernal Clock, a fledgling publishing effort which has so far produced two well-received anthologies, The Infernal Clock and CalenDark, The Infernal Almanac. She reviews ARCs on occasion for Crystal Lake Publishing, is on the review team at HorrorAddicts.net, and is a beta reader. Steph currently works with secondary school students developing their literacy skills. In the past she worked as a senior software author in a technical publications company. She lives in Southampton with her husband and 3 children. Liz Butcher resides in Brisbane, Australia, with her husband, daughter, and two cats, Pandora and Zeus. While writing is her passion, her numerous interests include history, astronomy, the paranormal, mythology, reading, art, knitting and music – all which help fuel her imagination. She also loves being out in nature, especially amongst the trees or near the water. Liz has published a number of short stories in anthologies and currently has a multitude of projects in the works including her upcoming short story collection, “After Dark” and her novel, ‘Fates Revenge’. Nicole J Simms is a UK horror writer. Her stories have been published on websites, such as Spinetinglers, where she won second place. Her story ‘The Snowflakes of Time’ can also be found in Firewords Quarterly Issue 4 magazine. Even though she is open to many genres, she prefers to write horror, crime, and fantasy stories. Under the Bed Magazine, 69 Flavors of Paranoia, MicroHorror, Liquid Imagination, Yellow Mama, Heavy Hands Ink, WEIRDYEAR, Phantom Kangaroo, and various other publications. Most recently, he’s been coauthoring the serial epic BEARD THE IMMORTAL on swordandportent.com. He also maintains franklinmurdock.com. Kerry lives in Dayton, Ohio. He hates the sun and loves making fun of dead people. His parents started reading his stories and they’ve consequently booted him from their will. Kerry’s work appears in several anthologies including DOA2 from Blood Bound Books and Attack of the B-Movie Monsters from Grinning Skull Press. His work has been featured multiple times on The Wicked Library podcast. He is currently editing his first novel and shopping a bizarro novella. KGSL rarely (but still) blogs at www.HorrorTree.com and will launch his own website sometime before he dies. Say hi on Twitter @kerrylipp or come find him on Facebook. And he wants you to remember to always cover the camera on your laptop. You never know who is watching you.